Here’s a little archival item to end one year and ring in a new one. My mom ran across this vintage Marble Springs postcard and gave it to me as a Christmas present. 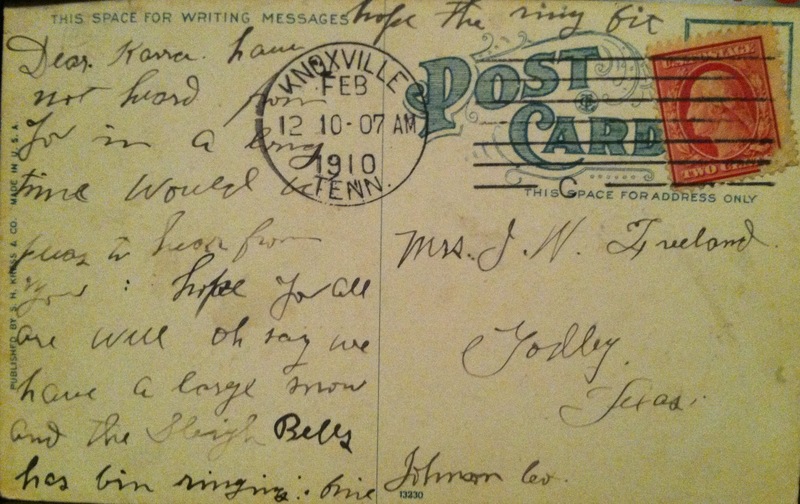 I don’t know the date of the photo, but somebody mailed the card from Knoxville to the tiny town of Godley, TX in 1910. That was thirty-one years before the state purchased the property. As you can see, the place needed some work. I’ve seen this same postcard image online, and something about it has always befuddled me. If the building in the picture is one of the extant structures on the site, it could only be the kitchen, which is attached to the main cabin by a dogtrot. Since the main house is a good half-story taller than the kitchen, you should be able to see the gable end over the kitchen’s roof on the postcard. But from the postcard, it looks like there’s no building on the other side of the kitchen. Somebody evidently retouched the image to replace the main house with trees. I have no idea why anybody would do this, unless the smaller, dilapidated kitchen cabin better fit some postcard maker’s notion of what an Appalachian homestead should look like. I did a little poking around online and ran across a slightly different version of the image from UT Special Collections, dated 1921. Here the main house is clearly visible, as it would be if you were standing there in person. This version, however, also looks heavily retouched. Did somebody try to clean up an earlier, already retouched version and produce this result? I don’t know enough about early photo manipulation to tell precisely what’s been done to the images. 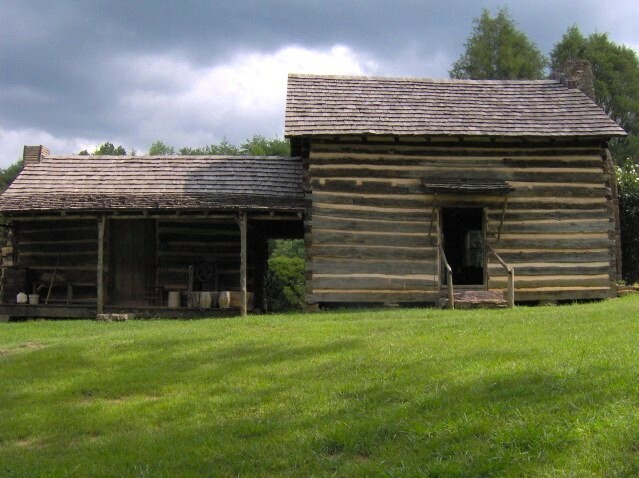 “John Sevier’s “Marble Springs Plantation”,” in Special Collections Online, Item #4225, http://kiva.lib.utk.edu/spc/items/show/4225 (accessed December 31, 2014). Anyway, it’s an interesting glimpse at a place that’s changed a lot over the years, and one where I’ve been privileged to spend quite a bit of time. Should history books cost an arm and a leg? Over at the always-interesting Boston 1775 blog, J.L. Bell draws our attention to an interesting new title on gossip in American history. Unfortunately, as he notes, a copy of the book will set you back nearly a hundred bucks. Hefty price tags aren’t unusual when it comes to academic books. Many university press hardcovers cost upwards of forty dollars. If you’re only going to sell a few copies of a book to large research libraries, it makes sense to slap a high price on each copy. But what about readers who want copies of these pricey academic books? Many of them are probably going to be academics themselves, and they can get a free book from a journal looking for a review or a complimentary desk copy from publishers who want to sell to students. Other potential readers—grad students, bloggers, independent scholars, reenactors, and history buffs—will either have to cough up some serious dough or wait for copies to start showing up in used bookstores or on Ebay. One of my professors refuses to submit her manuscripts to one very prominent academic publisher because their books are so expensive. She feels an obligation to make her work accessible and useful to people beyond the academy. If your primary concern is writing for an academic audience, or if publication is just a means to some professional end (job, tenure, promotion, accolades), then you can afford to be unconcerned about your book’s cost. But I think it’s worth asking whether historians have an obligation to do whatever they can to ensure that interested lay readers can afford their books. 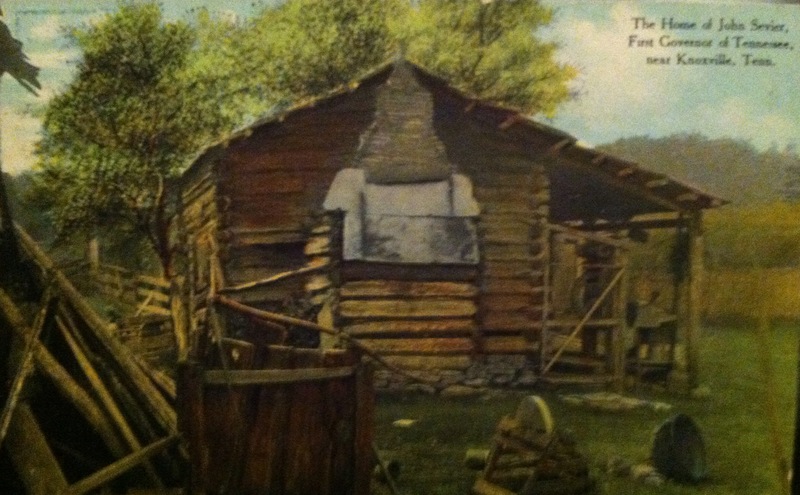 I’ve been reading Massacre at Cavett’s Station by the eminent Tennessee archaeologist Charles Faulkner. The titular massacre was one of the uglier episodes in the long history of white-Cherokee conflict on the Tennessee frontier. It took place on September 25, 1793 when a massive war party (contemporary reports put their numbers as high as 1,500) headed for the territorial capital of Knoxville heard firing from the town and feared they’d lost the element of surprise. Instead, they fell on Cavett’s Station several miles to the southwest, killing the thirteen men, women, and children who were there. Remarkably, the Indians had managed to approach Knoxville without detection by John Sevier’s militia, but retaliation was not long in coming. In what would prove to be his last Indian campaign, Sevier marched into Georgia and caught some of the perpetrators at Etowah, near present-day Rome. The Indians were in a position to oppose the militia’s crossing of the Etowah River at the town, but when a party of the whites moved south to cross elsewhere, the Indians followed them and left the fording place near the town undefended. The militiamen galloped back to Etowah, dispersing the defenders and putting the town to the torch. Your murders and savage Barbarities have caused me to come into your Country Expecting you would fight like men, but you are like the Bairs and Wolves. The face of a white man makes you run fast into the woods and hide, u see what we have done and it is nothing to what we shall do in a short time. I pity your women & children for I am sure they must suffer and live like dogs but you are the Cause of it. You will make War, & then is afraid to fight,—our people whiped yours mightily two nights ago Crossing the river and made your people run very fast. To the Cherokees and their warriors if they Have Any. Ouch. Not much for the niceties of spelling and punctuation, but the guy definitely knew how to twist the rhetorical knife. The final assignment in my Native American seminar was to develop an undergraduate syllabus for a course on some aspect of Indian history. I decided to design my class around early American history, since it’s what I’m most familiar with. I felt pretty confident going into this project. Having spent several years doing adjunct gigs before going to back to grad school, I’d designed my share of syllabi. And since I’ve done a fair amount of reading on colonial America and the early frontier, I knew of quite a few Indian-related books that I could assign. As you might imagine, though, it turned out to be quite a bit harder than I expected. In fact, there was a sense in which my background was actually a handicap, because it had predisposed me to think about early American history in particular ways. As I’ve mentioned before, we tend to conceptualize the history of early America in simplistic terms of geographical and temporal progression. You’ve got your Spaniards in Latin America at first, then your French around Canada and the Mississippi Valley, and then it’s Anglos moving from east to west from there on out. Once the English get settled in at Jamestown, there’s a tendency to ignore everything west of the eastern seaboard until more colonists start pushing into the interior. For too many of us, vast swaths of America don’t really have a “history” until Anglophone settlers show up. If you’re trying to frame history from a Native American perspective, this simply won’t do. Indian societies had been rising, falling, and coalescing across the continent for centuries before white settlements appeared in North America. And over the course of the many decades it took Anglophone settlers to make their way to the Appalachians, the Mississippi, the Rockies, and the West Coast, history wasn’t at a standstill. Native people in what we vaguely think of as “the West” had been encountering, trading with, fighting against, and living alongside Spanish and French settlers (and each other) during all that time. I’m ashamed to admit that I forgot all this when I started picking readings for my syllabus. My first slate of assigned books all dealt with Indian-colonist relations in the eastern U.S. It didn’t occur to me to break out of that mindset until my professor gently reminded me that I was ignoring a good two-thirds of the continent. Oops. Periodization also proved trickier than I anticipated. I knew that I didn’t want to cover all of Native American history down to the present, but every cutoff date seemed to present difficulties. I thought about stopping with removal, but that sort of implies that Indians were no longer around or ceased to be a factor in American history after their relocation west of the Mississippi. Bringing things forward to the end of the Indian Wars presented the same problem. I knew I didn’t want to try to cover everything up to the present day, but I didn’t want to turn it into a syllabus for an early American course that happened to focus on Indians, either. I finally settled on a rough cutoff date of ca. 1850. It moved things past removal a bit, but without getting bogged down in all the tumultuous events that happened in the late nineteenth century. First Americans: A History of Native Peoples, Volume I by Kenneth W. Townsend and Mark A. Nicholas. Whenever possible, I like to have a main text around which to organize a class. This book seems to hit a lot of the important sub-topics, and it’s concise enough to allow for plenty of supplementary readings. Luckily, the first volume also ends at the exact same cutoff date I’d chosen for my course. (Well, to be honest, the fact that this volume ends in 1850 played no small role in my decision to use that date as my end point.) I therefore decided to use First Americans for coverage of the material and then set about looking for monographs and shorter readings for “uncoverage” of important issues. What Caused the Pueblo Revolt of 1680? edited by David J. Weber. One of the biggest problems I ran into was a shortage of accessible, concise books on the early Southwest. This collection of essays filled a geographic void, and I also liked the idea of a collection of essays by different historians debating the cause of an important historical event. I made this book the basis of a writing exercise designed to get my hypothetical students to consider history as an active process of answering questions and weighing contested explanations. Facing East from Indian Country: A Native History of Early America by Daniel K. Richter. After whittling down my list of books on the early history of eastern North America, this outstanding book was the last one standing. Richter takes the conventional narrative of early American history and flips it around, keeping Indians at the center of the story. It’s a great read, and it engages so many important topics that this one text effectively replaced three or four of the books I had on my preliminary list. The Native Ground: Indians and Colonists in the Heart of the Continent by Kathleen DuVal. Here is where trying to create an “Indian-centric” course with its own geographical perspective came into play. DuVal looks at the American interior before its penetration by Anglophone settlers, showing how there were places where Indians maintained control of the terms of contact and exchange well after the arrival of Europeans. If you want a corrective to the notion that Indians had to retreat ceaselessly before the vanguard of colonization after 1492, this book will do the trick. Cherokee Women: Gender and Culture Change, 1700-1835 by Theda Perdue. I had this book on the list from the get-go, and it stayed there. Perdue covers Cherokee acculturation and change over the course of the eighteenth and early nineteenth centuries, demonstrates why these processes had a unique impact on women’s roles and prerogatives, and does it all in a very concise and readable manner. I supplemented these books with additional short readings: primary sources, excerpts, and scholarly articles. First Americans is pretty skimpy on pre-Columbian material, so I included some chapters of Alice Beck Kehoe’s America Before the European Invasions on the Paleo-Indian and Archaic periods. I also incorporated some of the primary source selections from Colin Calloway’s First Peoples: A Documentary Survey of American Indian History, a few doses of ethnographic observation from Coronado and John Smith, some other short secondary readings, a viewing of the Trail of Tears episode of We Shall Remain, and a trip to the McClung Museum’s excellent exhibit on Native Americans in Tennessee. Looking back on the finished product, I was surprised at how different it was from my first sketchy outlines. It ended up taking a much wider geographic perspective, incorporating a lot of new ideas, and leaving out a lot of material on Indian-colonist relations that I’d planned to use. But I think the final version was a significant improvement. I don’t know if I’ll ever get to use this syllabus in a course of my own, but the assignment made me stretch some historical muscles I’d never used, and it was a heck of a lot of fun. Matthew McConaughey has signed on to play Newt Knight, who led a group of anti-slavery Confederate deserters in Jones County during the Civil War. The movie, “Free State of Jones,” is written by Gary Ross, of “The Hunger Games,” “Pleasantville,” and “Seabiscuit” fame. It details the story of Newton Knight, an American farmer, soldier and Southern Unionist, who became the leader a band of Confederate Army deserters that turned against the Confederacy during the Civil War. Local legends state that Knight and his men attempted to form the “Free State of Jones” in the area around Jones County at the height of the war. As you might recall, there was some blogosphere buzz surrounding Free State of Jones historiography a few years ago. For more info on the history behind the film, check out Victoria Bynum’s Renegade South blog and her book on Jones County in the Civil War.